To aid investigators and data analysts in their efforts to prevent fraud and highlight connections between individuals of interest, many organisations are turning to a new set of software tools to aid fraud-detection and provide analytical evidence that can lead to a successful prosecution. 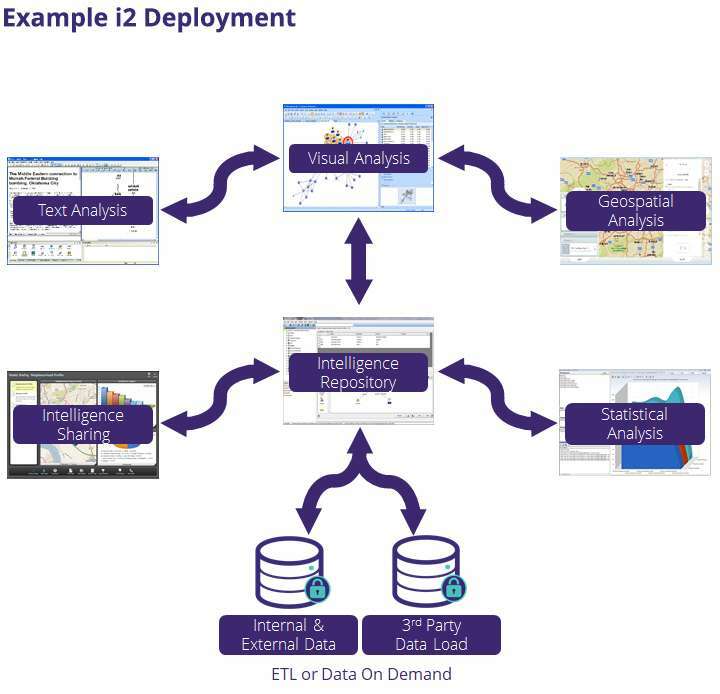 IBM i2 provides rich visual analysis capabilities that help quickly turn complex sets of disparate information into high-quality, actionable intelligence. This helps analysts build a single cohesive intelligence picture to predict, prevent, detect and investigate criminal, terrorist, and fraudulent activities. We worked with SECOM to leverage the power of the IBM i2 iBase intelligence system to proactively tackle in-store crime and enable significant operational savings for the CO-OP. Creating a solution that analysed near real-time data and intelligence captured from surveillance systems along with other siloed databases, including crime reports, in ultra-fast time. Seamlessly analysing this data to generate insights that could be used to proactively tackle incidents in-store and bring criminals to justice. As an IBM platinum partner we can provide licensing, consultancy and integration of IBM i2, ensuring you get the best possible results from the application. In addition we can also provide 24/7 support , licensing management, training, i2 on the Cloud (Hosting) ​and a managed service desk to ensure ROI. Reduce data management - and analysis overhead costs by storing available data locally in a single location. Increase the potential - of information discovery across locally stored data. Reduce time - spent on creating multidimensional views of key knowledge and information. Simplify communication - of complex data to enable timely and accurate operational decision making. i2 provides visual analysis and intelligence management to help organisations identify and respond to fraudulent and criminal events. Bell Integration have a team of security cleared and professionally trained intelligence analysts to help consult and deploy bespoke solutions.